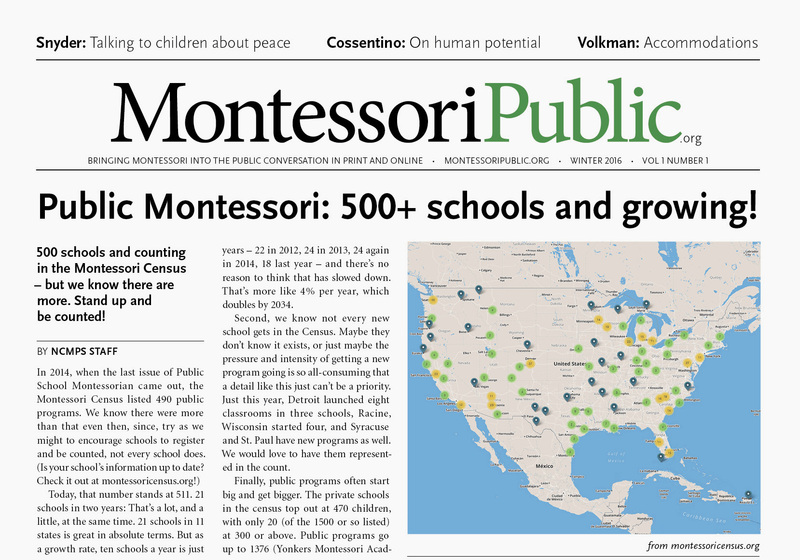 You may not know this about me, but a long time ago, I ran an alternative paper here in Portland. We called it “The Free Agent,” and in addition to editing the rag, it was my first large-scale design project. I remember the warm, round smell of hot wax (used to stick columns of text to boards), the din of newsprint speeding through the rollers, the satisfaction of turning the pages in my hand after I grabbed one, literally hot off the press. 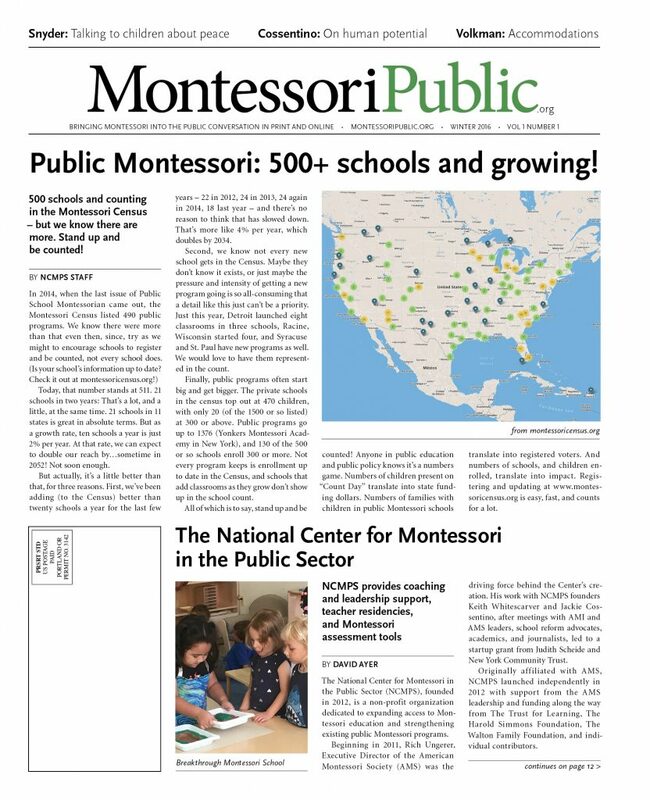 So you can imagine how excited I was when the National Center for Montessori in the Public Sector – through MontessoriPublic, its communications resource – asked me to help them revive the newspaper it sends to its teachers and schools around the country. It was like getting back on a bicycle after a long hiatus, only now I had 25 years of experience to leverage as I hopped on. 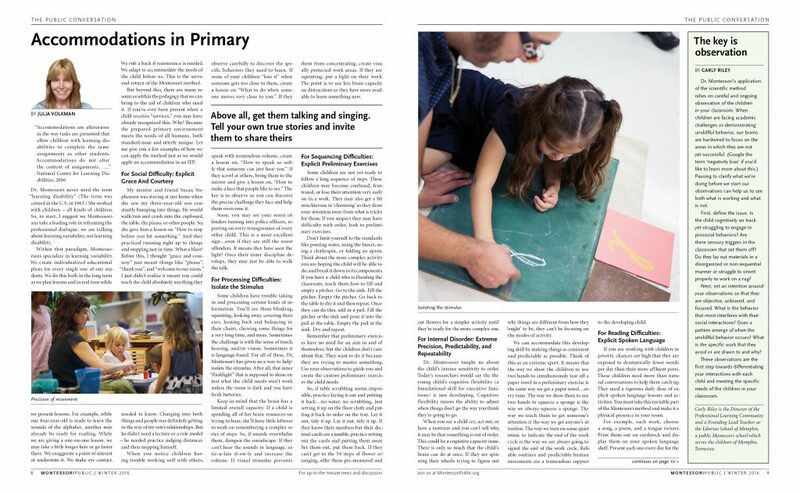 Working closely with the Communications Director, I rebuilt the paper from the ground up, retaining the core look of the original (as an homage to its previous editor, who had recently passed away) but tightening it from flag to final prepress. 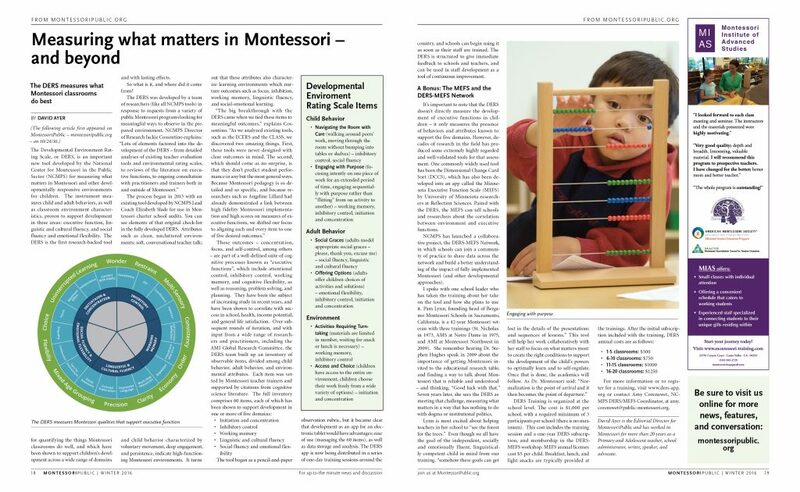 My goal was to make the publication clearer, more approachable and more readable while still allowing for the content density befitting the paper’s academic focus and audience. The book landed in early December and it’s been so well received the paper is going into regular quarterly production.